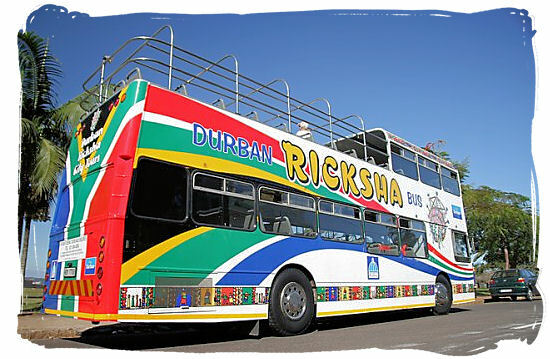 Once you have arrived in Durban, there are various options available to you for getting around. There is a world class transport system that is designed to efficiently link up all the main attractions, making it easy for tourists to navigate the city. For fitness oriented travelers, Durban is a beautiful city to explore on foot. There are many colour-coded and numbered walking paths around the city centre, leading to the beachfront and along the promenade. As with any destination you need to take cognizance of your personal safety and be vigilant when walking around the city. It is also advisable to arrange other transport for night time excursions. 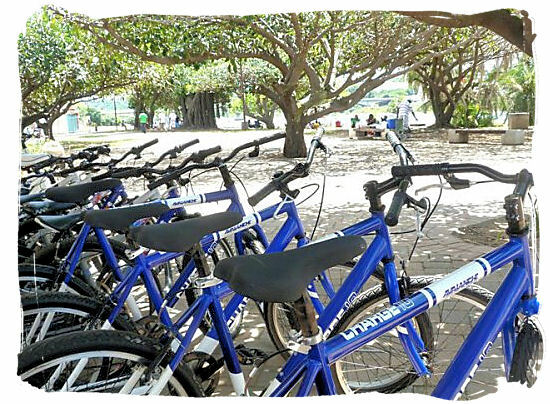 For the more energetic visitor, you are able to hire bicycles to go sightseeing. Cycle routes are well-demarcated to provide a scenic tour of Durban. If you venture off these more central routes, be warned, it is very hilly terrain and could become quite a strenuous workout! For those less keen on breaking a sweat, scooters and quad bikes can also be hired for sightseeing purposes. One of the easiest ways to explore the city is by car. There are many reputable car hire companies all over town and your accommodation provider will be able to assist you with this. The roads in Durban are in good condition and petrol is reasonably priced. Try to hire a car with an updated GPS system as many of the road names have changed recently. This makes travel so much easier especially if you are unfamiliar with the city. Metered taxis are another excellent way of sightseeing the City. There are a number of reliable companies that offer a reasonable and affordable service in Durban. Metered taxis are not allowed to solicit fares, so you will need to phone them to arrange a pick up. Your hotel concierge will be able to assist you with this. 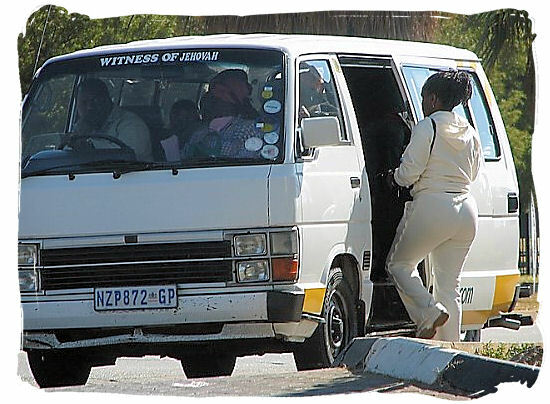 For a true and more authentic African way of getting around Durban, there are the infamous minibus taxis. These are cheap, fast and operate all over the city and surrounding areas at regular intervals. They cannot be missed driving around the city with their music pumping. However, hailing them does require some basic knowledge of the hand signals used to indicate their destination. The locals are very friendly and can help you with this, so do ask. With the explosion of minibus taxis in recent years, the municipal public bus transport system is no longer utilized as often and as a result runs a fairly infrequent service. 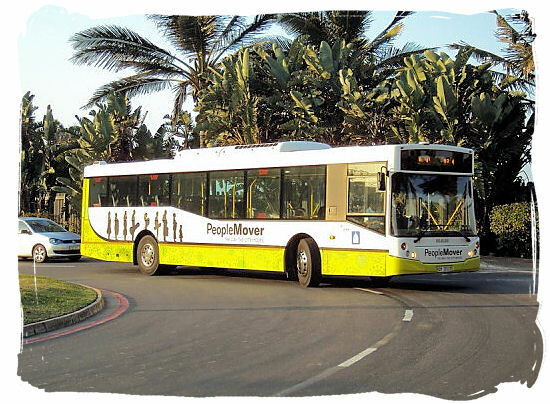 However, there is The Durban People Mover. This tourist oriented bus service operates regularly along 3 routes in the CBD and the beachfront and connects all the major tourist attractions. This bus runs every 15 minutes from 6:30am to 11pm and costs R4! 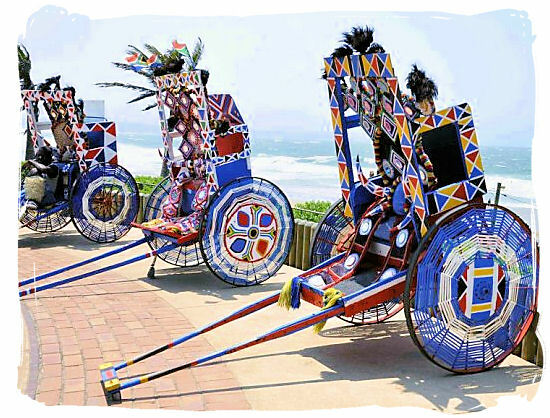 Lastly, if you are looking for a unique tourist experience, you can always try out the iconic Zulu Rickshaw pullers that work the golden mile on the beachfront. They are easy to spot with their colourful outfits and friendly demeanor. In this video clip you are taken on a guided tour of the city of Durban, visiting some great attractions such as uShaka, the Moses Mabhida Stadium, the Victoria Street Market and others. Glorious sunshine, warm water, great waves and lots of fun, an impression of Durban's awesome beaches in the video clip below. 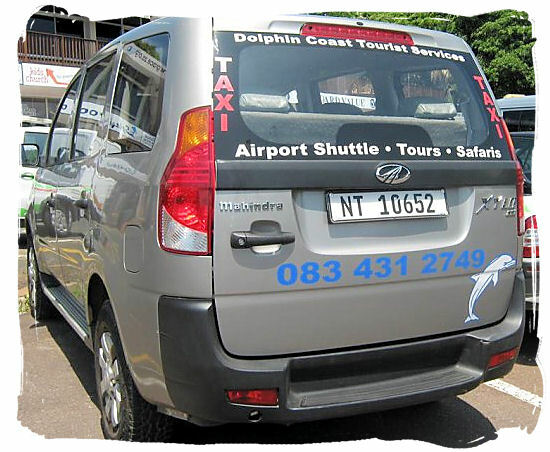 The best and most convenient way of getting around Durban is to rent a car. That makes you independent in terms of what you want to do and where you want to go. Visitors from overseas will find Durban's car rental rates very reasonable compared to those in Europe and the USA. In the post-apartheid era most street names have changed in South Africa, so make sure that you have the latest updated map, or better still, get a GPS navigation device. Visitors from abroad should acquaint themselves with South Africa's traffic rules and signs. Also remember that we drive on the left side of the road in South Africa.